Street FIghter's Chun-Li, or MK's very own Kitana? These 2 blue wearing femme fatales are fighting game characters, classic characters and popular. <br/> <br/>Which one had the bigger impact at the time of their debut? Which one is more popular among MK fans, SF fans, and gaming overall? Which one is more recognizable to non-gamers? Which one impacted gaming, and fighting games more? Which one is more popular, and important to their respective series? Who is the better and bigger fighting game icon overall? Street FIghter's Chun-Li, or MK's very own Kitana? These 2 blue wearing femme fatales are fighting game characters, classic characters and popular. Which one had the bigger impact at the time of their debut? Which one is more popular among MK fans, SF fans, and gaming overall? Which one is more recognizable to non-gamers? Which one impacted gaming, and fighting games more? Which one is more popular, and important to their respective series? Who is the better and bigger fighting game icon overall? Let me guess. Your suggesting Chun Li as guest character for MKX, aren't ya. <br/>If so, I wouldn't mind it, but I doubt Capcom will be ok with fatalities being done on her. Let me guess. Your suggesting Chun Li as guest character for MKX, aren't ya. If so, I wouldn't mind it, but I doubt Capcom will be ok with fatalities being done on her. Chun-Li easily. 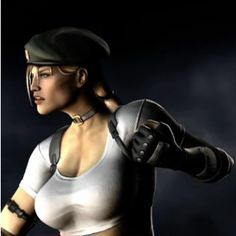 She just may be the most iconic female fighter in gaming history. I have to agree with everyone else. Chun Li is the First Lady of fighting games. She easily trumps every other female out there when it comes to importance and popularity in fighting game history. <br/>What a joke topic. Opinions are invalid in such a subject. <br/>It's a fact that it's Chun-Li in every way. What a joke topic. Opinions are invalid in such a subject. It's a fact that it's Chun-Li in every way. <div class="forumQuote"><b>WeaponTheory Wrote:</b><br/><br/>What a joke topic. Opinions are invalid in such a subject. <br/><br/>It's a fact that it's Chun-Li in every way.</div> <br/> <br/>I asked several questions but everyone seems to be answering only the one in the title. I asked several questions but everyone seems to be answering only the one in the title. Kitana is awesome, but no female character in any fighting game have had anywhere near the same impact as Chun Li had. Chun Li is the first fighting game female! I prefer Kitana over Chun Li as a character, but there is no denying how much Chun Li means for the fighting game community as a whole. <div class="forumQuote"><b>diirecthit Wrote:</b><br/><div class="forumQuote"><b>WeaponTheory Wrote:</b><br/><br/>What a joke topic. Opinions are invalid in such a subject. <br/><br/><br/>It's a fact that it's Chun-Li in every way.</div> <br/><br/> <br/><br/>I asked several questions but everyone seems to be answering only the one in the title.</div> <br/> <br/>The answers here implies to all the questions you asked in this topic. The answers here implies to all the questions you asked in this topic. Why did you even make this thread. It's obvious that Chun Li is the number 1 female in fighting games. (I like Kitana better though). <div class="forumQuote"><b>diirecthit Wrote:</b><br/><div class="forumQuote"><b>WeaponTheory Wrote:</b><br/><br/>What a joke topic. Opinions are invalid in such a subject. <br/><br/><br/>It's a fact that it's Chun-Li in every way.</div> <br/><br/> <br/><br/>I asked several questions but everyone seems to be answering only the one in the title.</div> <br/> <br/>That's because the answer to all of your questions is Chun-Li. That's because the answer to all of your questions is Chun-Li. What kind of joke topic. <br/> <br/>Chun-Li is the first lady of fighting games. There's no female in any game that touches her on any cultural level. <br/> <br/>I'm more of a Cammy fan myself though. What kind of joke topic. Chun-Li is the first lady of fighting games. There's no female in any game that touches her on any cultural level. I'm more of a Cammy fan myself though. Well while I'm leaning on the side of Chun-Li...fighting games are really not as immensely popular these days. I think it's a bit much to say Chun-Li is the number 1 female in gaming period...Maybe fighting, yes, but in general? No. <div class="forumQuote"><b>ProfesserAhnka Wrote:</b><br/>Well while I'm leaning on the side of Chun-Li...fighting games are really not as immensely popular these days. I think it's a bit much to say Chun-Li is the number 1 female in gaming period...Maybe fighting, yes, but in general? No. </div> <br/> <br/>Who said she's the biggest female character in gaming? Who said she's the biggest female character in gaming? Chun Li is far from the biggest female in ALL of gaming. Fighting games, definitely. <br/> <br/>Kitana doesn't even come close in that regard. This is kind of a pointless thread. Chun Li is far from the biggest female in ALL of gaming. Fighting games, definitely. Kitana doesn't even come close in that regard. This is kind of a pointless thread. Kitana is my number one MK character of all time and I don't like SF. Chun-Li has absolutely no impact on me. <br/> <br/>If I have to pick one against the other in a MK vs SF game, Kitana will be my choice. Always loved her. Always will. Kitana is my number one MK character of all time and I don't like SF. Chun-Li has absolutely no impact on me. If I have to pick one against the other in a MK vs SF game, Kitana will be my choice. Always loved her. Always will. <div class="forumQuote"><b>diirecthit Wrote:</b><br/><div class="forumQuote"><b>ProfesserAhnka Wrote:</b><br/>Well while I'm leaning on the side of Chun-Li...fighting games are really not as immensely popular these days. I think it's a bit much to say Chun-Li is the number 1 female in gaming period...Maybe fighting, yes, but in general? No. </div> <br/><br/> <br/><br/>Who said she's the biggest female character in gaming?</div> <br/> <br/>The dude who's like two posts ahead of me- martin_m95. The dude who's like two posts ahead of me- martin_m95. <div class="forumQuote"><b>Thracian_Tsar Wrote:</b><br/>Kitana is my number one MK character of all time and I don't like SF. <br/><br/> <br/><br/>If I have to pick one against the other in a MK vs SF game, Kitana will be my choice. Always loved her. Always will.</div> <br/> <br/>But looking away from what you like, and take a broader view on how the two of them had the greatest impact on the fighting game community... Would you still say Kitana then? Kitana is my number one MK character of all time and I don't like SF. But looking away from what you like, and take a broader view on how the two of them had the greatest impact on the fighting game community... Would you still say Kitana then? <br/><div class="forumQuote"><b>Thracian_Tsar Wrote:</b><br/>Kitana is my number one MK character of all time and I don't like SF. Chun-Li has absolutely no impact on me. <br/><br/> <br/><br/>If I have to pick one against the other in a MK vs SF game, Kitana will be my choice. Always loved her. Always will.</div> <br/> <br/>That's not what i asked. <div class="forumQuote"><b>ProfesserAhnka Wrote:</b><br/><div class="forumQuote"><b>diirecthit Wrote:</b><br/><div class="forumQuote"><b>ProfesserAhnka Wrote:</b><br/>Well while I'm leaning on the side of Chun-Li...fighting games are really not as immensely popular these days. I think it's a bit much to say Chun-Li is the number 1 female in gaming period...Maybe fighting, yes, but in general? No. </div> <br/><br/><br/> <br/><br/><br/>Who said she's the biggest female character in gaming?</div> <br/><br/> <br/><br/>The dude who's like two posts ahead of me- martin_m95.</div> <br/> <br/>Whops... pardon me, I meant fighting games. Whops... pardon me, I meant fighting games. <div class="forumQuote"><b>Jaded-Raven Wrote:</b><br/>Kitana is awesome, but no female character in any fighting game have had anywhere near the same impact as Chun Li had. Chun Li is the first fighting game female! <br/><br/> <br/><br/>I prefer Kitana over Chun Li as a character, but there is no denying how much Chun Li means for the fighting game community as a whole. <br/><br/> <br/><br/>Cammy is better Street Fighter girl though. ;P</div> <br/> <br/>I remember loving Cammy in the cartoon lol. I remember watching that after the MK cartoon would go off on Sunday mornings But other than playing SF2 like 2 or 3 times on Nintendo back in 96, that's where my history with SF ends lol. <br/> <br/>I am not at all a Street Fighter fan. I just know the main characters of the franchise. I remember loving Cammy in the cartoon lol. I remember watching that after the MK cartoon would go off on Sunday mornings But other than playing SF2 like 2 or 3 times on Nintendo back in 96, that's where my history with SF ends lol. I am not at all a Street Fighter fan. I just know the main characters of the franchise. <div class="forumQuote"><b>ProfesserAhnka Wrote:</b><br/> <br/><br/>I am not at all a Street Fighter fan. I just know the main characters of the franchise.</div> <br/> <br/>Same here. I don't care about street fighter. But I am well aware of it's popularity. Same here. I don't care about street fighter. But I am well aware of it's popularity. Okay I'll answer every question. Which one had the bigger impact at the time of their debut? Chun-Li. About time Kitana came, we were use to seeing females in both MK (Sonya) and fighting games in general (Chun-Li, Sonya, Mai, King, etc). Which one is more popular among MK fans, SF fans, and gaming overall? Kitana with MK fans, Chun Li with SF fans and gaming overall. This was kind of obvious OP. Which one is more recognizable to non-gamers? Chun-Li. Again another obvious answer. Which one impacted gaming, and fighting games more? Yep Chun-Li again. You can say it's bc of her popular reception that other fighting game creators even added female characters to their series, something that is seen in every fighting game since. You even have SkullGirls which has an all or at least majority female cast and DoA which gender ratio is about even. Which one is more popular, and important to their respective series? Back in the early/mid 90s, Kitana role was more "important to the her series story" compared to Chun-Li's in hers. Now it's Chun-Li. Kitana's role has diminished with each MK rendition, while Chun-Li's only grew with each SF rendition. 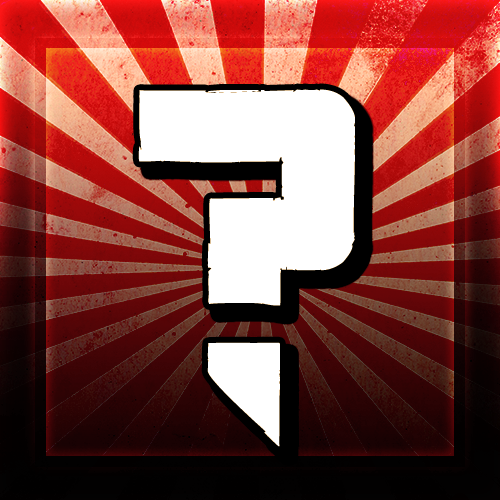 Who is the better and bigger fighting game icon overall? Once again Chun-Li, no contest. So now you see why I (and I'm sure most) said Chun-Li. She's the most obvious answer to most of your questions. Kitana's Legacy just doesn't compare to Chun-Li's.